A great way to learn how to apply scales to your playing is to learn riffs that use that scale. In this lesson, we look at riffs and lead lines that are based on the Blues Scale in position 1 and beyond! 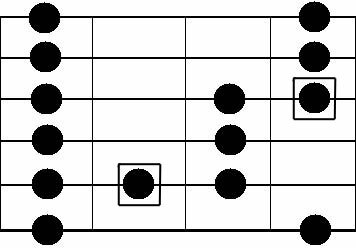 Notes with square around them show the notes that we add to the minor pentatonic scale to get the Blues Scale.